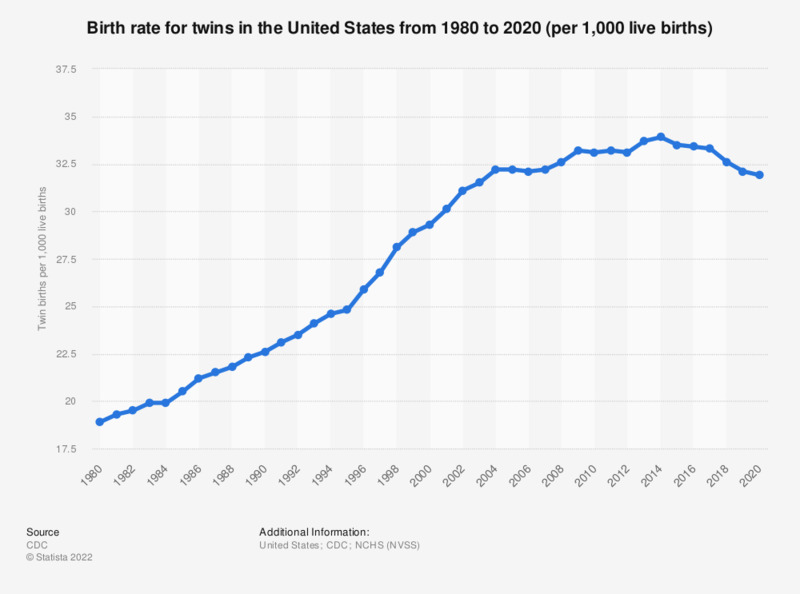 This statistic shows the birth rate for twins in the United States from 1980 to 2017. In 1980, approximately 19 live births out of every one thousand were twins. This rate increased to more than 33.3 births per thousand, thirty years later. * The number of live births in twin deliveries per 1,000 live births.